Spectacular location on the Eastern Marsh with golf and river views. Features include 3 bedrooms, 3.1 baths, kitchen with ss appliances, dining room, office, large bonus room with full bath, sunroom, outdoor grilling station with fireplace on a large deck. 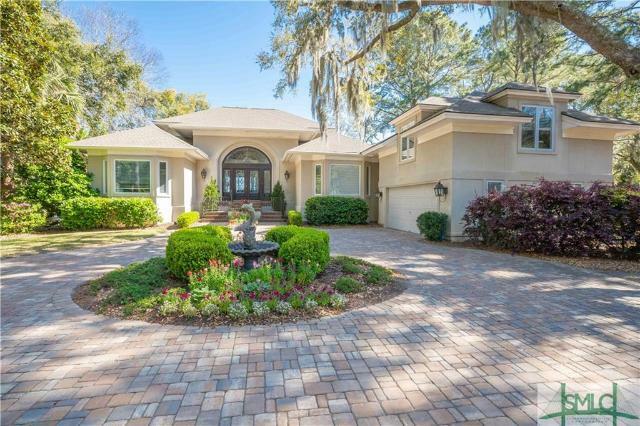 Two car garage with golf cart parking and beautiful paver drive. Two bedrooms up with Jack and Jill bath and walk out tiled patio. Recent improvements include a newer roof only 4 years old, tiled 2nd story balcony, new gutters, crawl space encapsulation and two newer A/C units 2 to 3 years old. Subdivision: Plantation Directions: Main Gate to Landings Way South to left on Delegal Road to right on Seawatch Drive. © 2019 Savannah Multi-List Corporation. All rights reserved. IDX information is provided exclusively for consumers' personal, non-commercial use, and may not be used for any purpose other than to identify prospective properties consumers may be interested in purchasing. Information Deemed Reliable But Not Guaranteed. Copyright © 2014 The Landings Home TeamSM. All rights reserved.